“Origami” means “folded paper.” While simple origami figures can be produced in less than 10 steps, more complex shapes require several hundred folds and are mastered by a select few. The Japanese are credited with origami’s development, although no known record exists as to its exact origin. It is an art that is over 400 years old, but its popularity has spread around the world. The origami exhibit and demonstration has been a part of the Northern California Cherry Blossom Festival since its inception in 1968. This beautiful art form will be presented with an amazing Origami Exhibit and Demonstration at the Japanese American Citizens League Headquarters, 1765 Sutter Street. Join experts Vicky Mihara Avery and Linda Mihara, along with members of the Bay Area Rapid Folders. We invite you to try your hand at Origami at this free, interactive event. 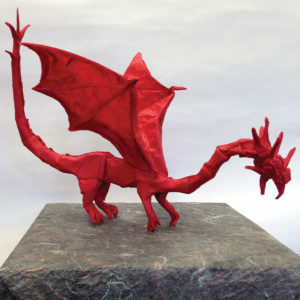 An additional Origami exhibit will be held at Paper Tree, 1743 Buchanan Street, near Sutter Street, where a broad array of world-class Origami will be on display.